Time for a break from the writing. 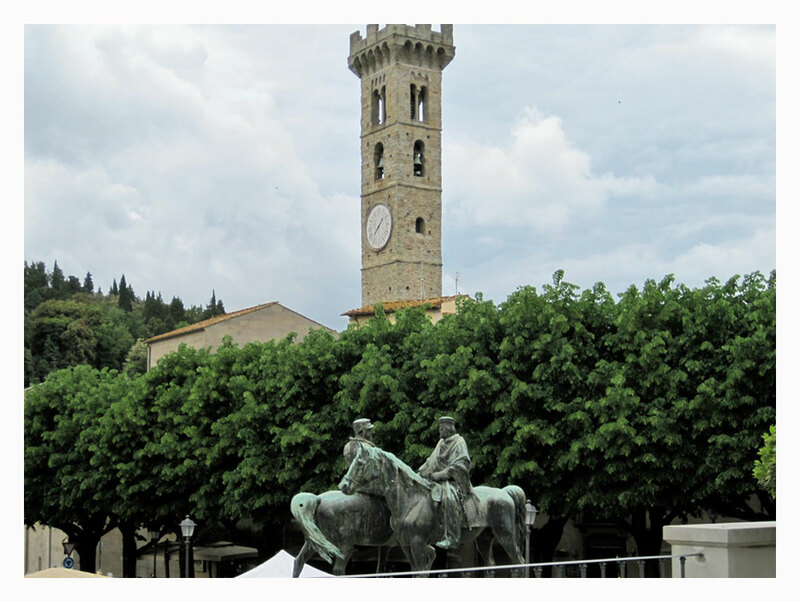 We decided to go to Fièsole, which is the closest town to our place. It’s only a 10 minute drive and easy enough on the spur of the moment. 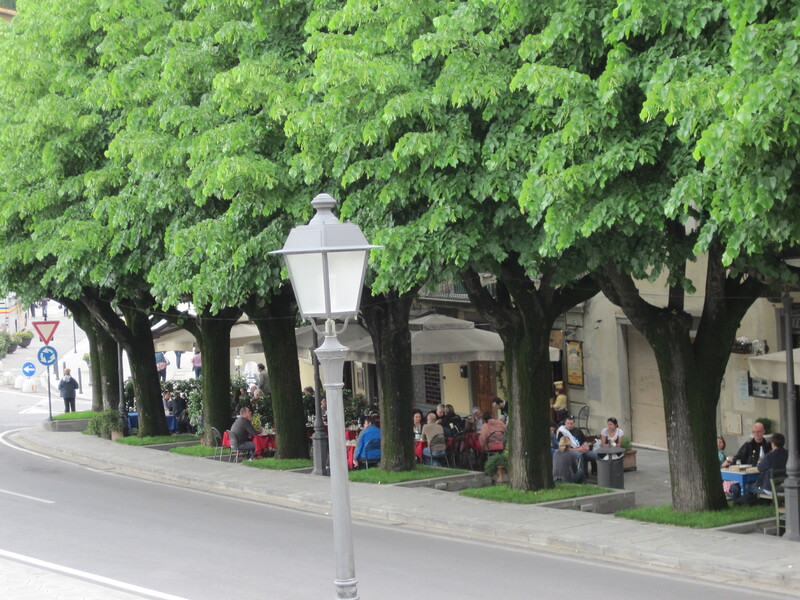 When we need some hot schiacciata, flat bread, verdure fresche, fresh vegetables, or alimentari, groceries, we sometimes zip into Fièsole for a few minutes, assuming that it’s not between 1 pm and 3:30 pm since everything closes for a mid-day break (lunch, followed by a siesta). But today is domenica, Sunday, and all of the stores are closed anyway, so it’s the perfect time for lunch at Vinandro. On his business cards Alessandro says “è furbo prenotare, it’s clever to reserve.” So we always call ahead because the 20 seats fill up fast, especially on the weekends. If you’re up for it, we’ll make the reservation for one more and you can just go with us. There’s always time for an Italian moment, so grab your sunglasses and let’s go!